Chubbsafes Elements Air Laptop safe. The Chubbsafes Elements Air Laptop is a €1,000 cash rated (€10,000 valuables) security safe designed specifically to store a laptop computer. 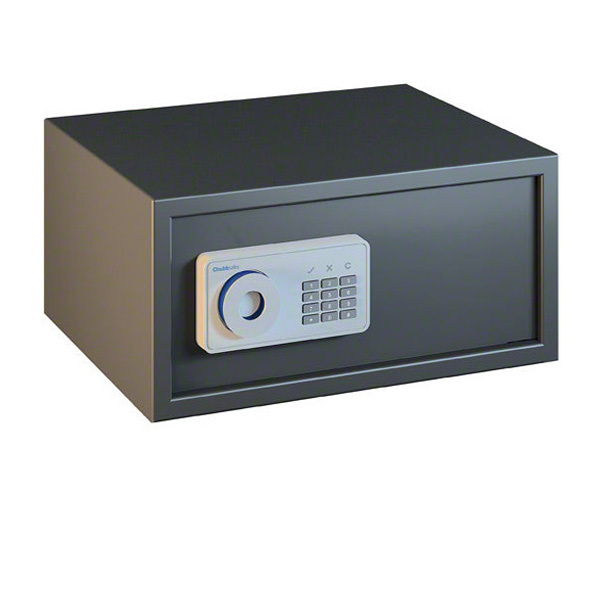 The safe is secured by a battery powered electronic combination lock and includes pre-drilled fixing holes in both the back and base.